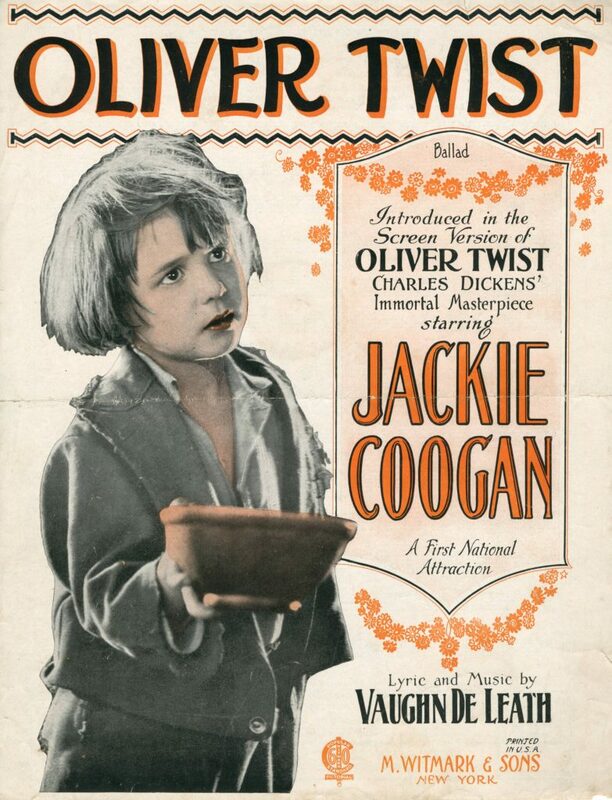 Oliver Twist is a 1922 silent film adaptation of Charles Dickens’ Oliver Twist, featuring Lon Chaney as Fagin and Jackie Coogan as Oliver Twist. The film was directed by Frank Lloyd. The film was considered lost, until a print surfaced in Yugoslavia in the 1970s. The print lacked intertitles, which were subsequently restored by Blackhawk Films with the help of Jackie Coogan and Sol Lesser. Coogan was at the height of his career during the filming, having played the title role in Charles Chaplin’s The Kid the previous year.